Pack your gear into the Jungle Mobile Lab and head to the hidden waterfall! Help the mechanic as he works on the truck, while the scientist checks out the area. Beware of the crocodile in the water, and then discover something amazing at the temple. It's always an exciting day in the LEGO City jungle! 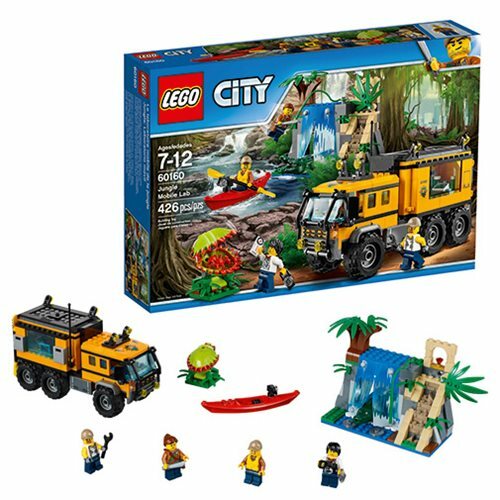 The LEGO City Jungle 60160 Jungle Mobile Lab includes 426 pieces. Ages 7-12.